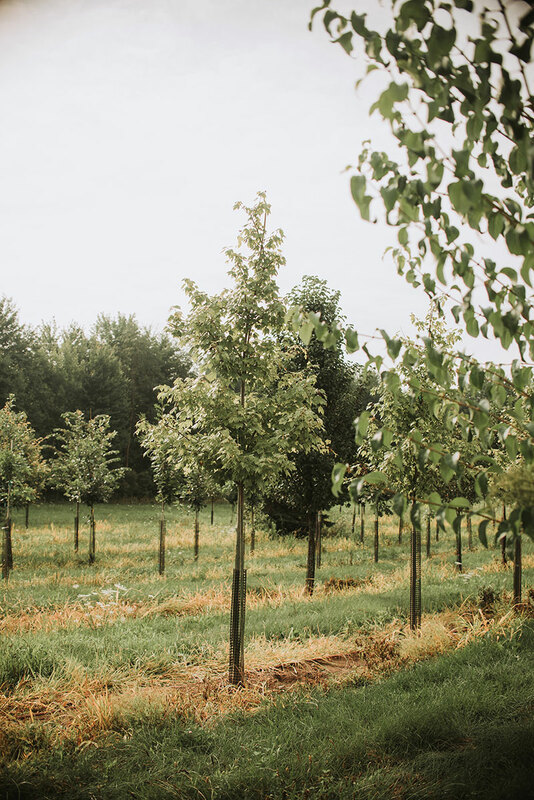 Come in and enjoy browsing our retail lot, and see the trees we grow in our fields on our 66 acre farm. If you are driving on I-94 between the Wadhams and the Fred Moore Hwy exits and see our highway sign with lots of trees growing behind it, that is one of our growing fields. There is no sales office at that location. Visit us at 2200 Mayer Rd, south of Gratiot in beautiful Columbus Township. Howard and Scott Sherman bring over 45 years of experience in installing landscapes, lawn maintenance which include providing lawn maintenance which can include pruning shrubs, and edging your walks and drives to keep a neat appearance. Spring, summer and fall each bring their own unique color schemes. We stock flowering and evergreen shrubs in containers along with B+B trees grown in our fields. Spring and summer always has some plant or perennial in bloom to catch your eye. Fall brings out all the red, orange, and yellow in our trees and shrubs. It is a great fall drive to the farm to see all the colors around us and the farm fields ready to harvest. Stop in to see us and bring a picture of your home; our staff will help you pick out plants. If you are renovating your landscape or have a new building project, make an appointment with our landscape designer to have a design drawn and a estimate of the costs for your project. Winter brings its own beauty on the farm but the nursery is closed from the first snow cover until spring thaw. We are still here taking phone calls about your next spring’s project. If you need help with snow removal, call us for a price quote to plow your driveway, shovel walkways, and applications of salt and de-icing products to keep control of slippery surfaces. We welcome landscape contractors and will provide you with trees grown in our fields and shrubs provided by our excellent suppliers. We give wholesale prices to all landscape contractors.